Scallion Bread makes a more flavorful side than normal bread, but takes minimal effort to make. 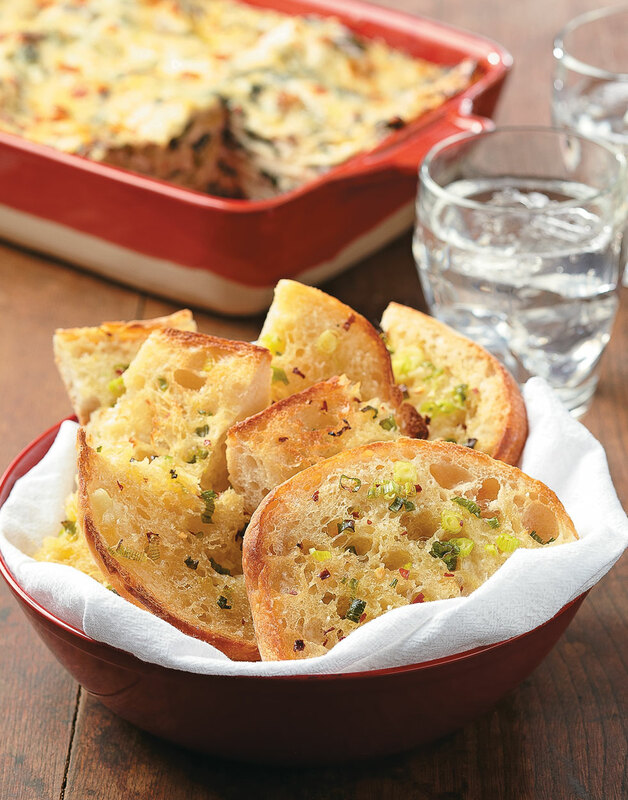 This easy bread makes an ideal accompaniment to pastas, salads, and soups. Stir together butter, oil, scallions, salt, and pepper flakes; spread onto cut sides of ciabatta slices. Bake bread, buttered side up, on a baking sheet, 10 minutes. Slice each bread half into six pieces and serve warm.